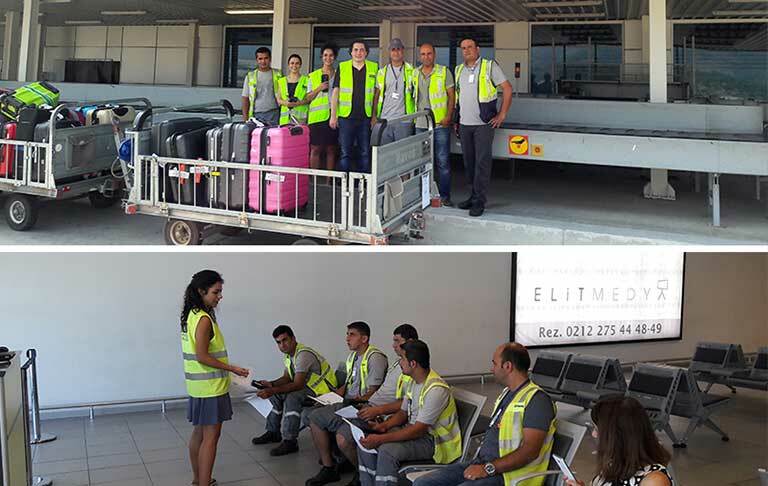 Developed by TAV IT engineers, our Baggage Reconciliation System (BRS) product, about which detailed training is provided on how to use, has started to be used at Alanya Gazipaşa Airport as of August 2016. To be used at various airports in upcoming periods, our BRS product bears a vital significance in terms of effective baggage management, customer satisfaction, flight safety and operation efficiency. TAV IT BRS automates the reconciliation process of passengers with security-checked baggage; thus stands out as an advanced solution that highly contributes to flight safety and operation efficiency. During the loading process, hand terminals guide baggage handling personnel and inform whether or not permission is granted for the baggage to be loaded to aircraft in the light of real-time data received from departure control system. 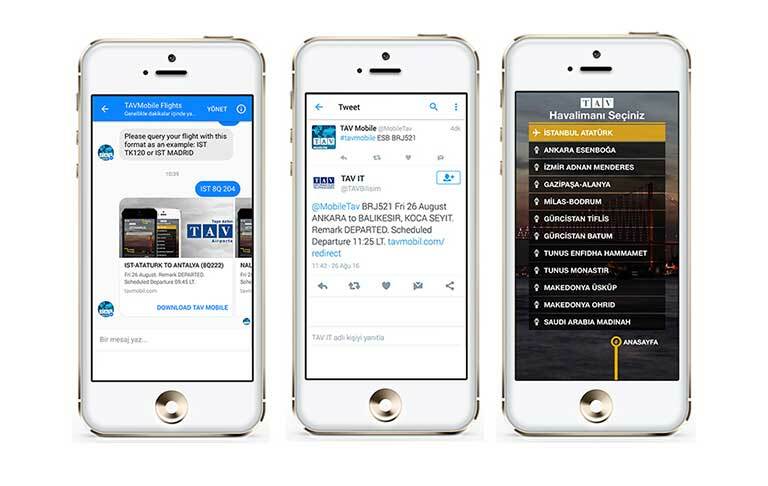 Having a user-friendly interface with multi-language support, TAV IT BRS enables simplified and error-free communication for baggage handling personnel. 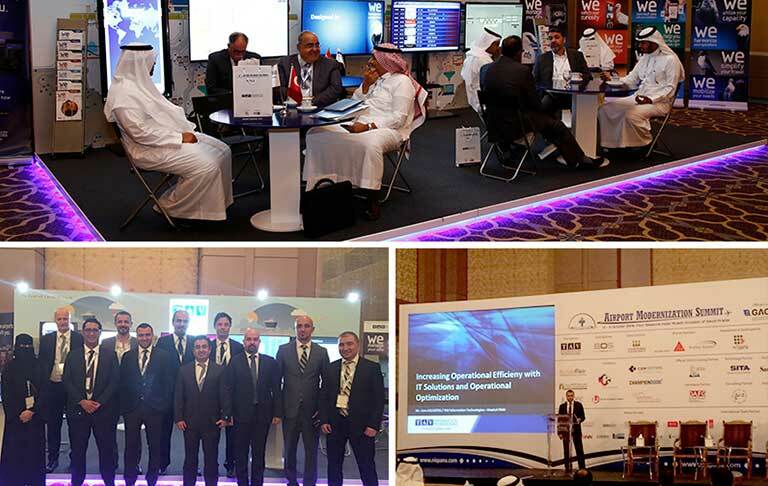 Organized between October 2nd and 3rd, 2016 at the Four Seasons Hotel in Riyadh, the capital city of Saudi Arabia and gathered the professionals of aviation industry, “Airport Modernization Summit 2016” attracted great attention with its content and speakers. TAV IT participated in the summit with a stand area which hosted many aviation authorities throughout the summit and TAV IT Deputy General Manager Cem Aslantaş delivered the opening speech and then made a presentation titled "Increasing Operational Efficiency with IT Solutions and Operations Optimization". 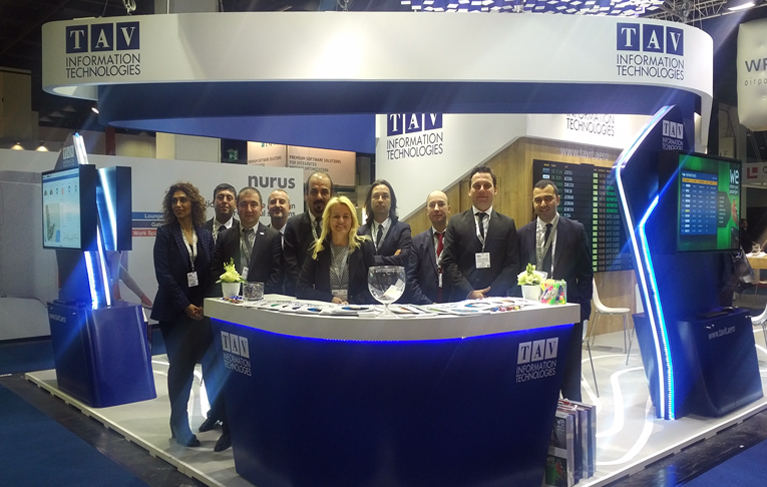 Held at Istanbul Ataturk Airport General Aviation apron between October 6th and 9th, 2016, 11th International Civil Aviation & Airports Exhibition & Aviation Industry Supply Chain Platform offered an efficient platform for its exclusive participants. The exhibition was opened by Transportation, Maritime Affairs and Communications Minister Ahmet Arslan, TAV Airports President & CEO Sani Şener, Turkish Airlines' Chairman & CEO İlker Aycı, Sierra Nevada CEO Fatih Özmen and leading representatives of civil aviation industry, and TAV Airports welcomed participants and visitors at its stand. 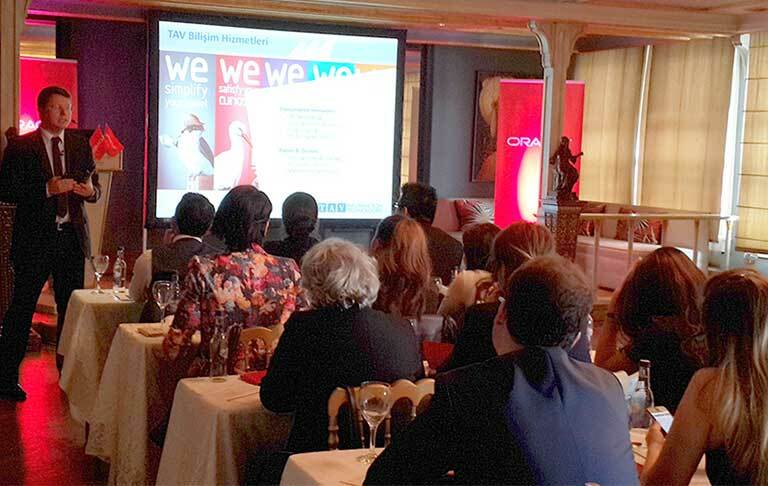 TAV Information Technologies at "Oracle Human Resources Day"
"Oracle Human Resources Day" was held at Istanbul Les Ottomans Hotel on Thursday October 6th, 2016 in order to evaluate the changing Human Resources processes and discuss the ways to get prepared for the new generation digital Human Resources practices. During the event, human resources managers exchanged ideas about the approaches in relation to the new generation human resources practices and discussed the methods to integrate these practices. Making a presentation titled "Being a Part of Digital Transformation - Project Design in Digital HR", TAV IT Product Manager Onur Altın informed about the recruitment costs, additional hardware investments and explained the participants that ongoing license payments do not constitute an obstacle in organizations' growing and efficient low cost recruitment processes can be managed with Oracle Taleo during his presentation. Participants were informed about Oracle Taleo Recruiting & Onboarding Project, which was carried out by TAV IT for the first time in Turkey. 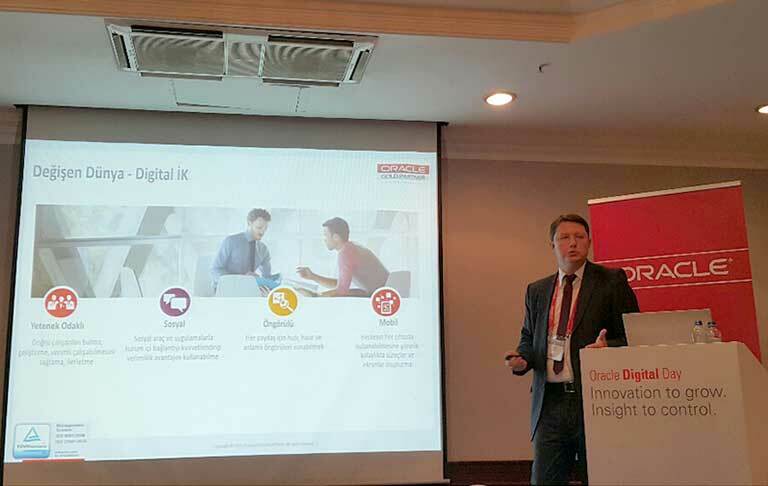 In order to discover how cloud ecosystem leads your digital transformation and how data-focused operation becomes a reality in your organization, "Oracle Digital Day", was held at Swissotel The Bosphorus Istanbul on November 8th, 2016 with the participation of pioneering companies of the industry. The theme of the event, which includes technological changes, and the transformation of establishment management models and focuses on the latest trends in information technologies of the business world, is the digital transformation in the IT systems which develops as a result of the use of Cloud, Mobile Solutions, Big Data, Social Media, etc. in order to increase the productivity of companies. TAV IT Enterprise Resource Planning Manager Sabutay Şarlak made a presentation titled “Digital Solutions in Supply Chain Transformation and BTA Project” in business applications session. During his presentation, Şarlak informed the participants about the implementation of Warehouse Management System and Demand Estimation Application by highlighting the value it adds to BTA, identification and management of company-specific warehouse management processes and how TAV IT achieved accurate planning improvements in demand estimation by Oracle WMS and Demantra products. Carried out by TAV IT for the first time in Turkey, the project was indicated to be exemplary for Supply Chain Transformation projects from A to Z. Furthermore, making a presentation titled "Being a Part of Digital Transformation - Project Design in Digital Human Resources", TAV IT Product Manager Onur Altın informed about the recruitment costs, additional hardware investments and explained the participants that license payments do not constitute an obstacle in organizations' growing and efficient low cost recruitment processes can be managed with Oracle Taleo during his presentation. Participants were also informed about Oracle Taleo Recruiting & Onboarding Project, which was carried out by TAV IT for the first time in Turkey. 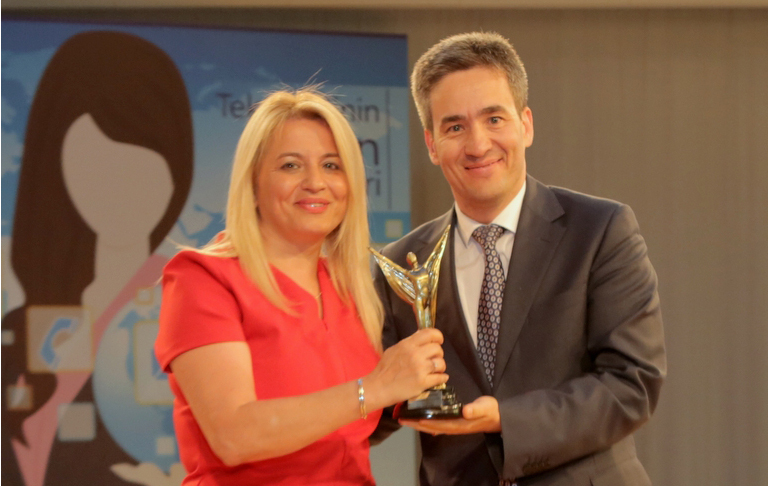 TAV Information Technologies General Manager and TAV Airports Holding CIO Binnur Güleryüz Onaran received “Successful Woman CIO of the Year” award during the "Women Leaders of Technology" awards presented by Microsoft with the support of KAGIDER, Women Entrepreneurs Association of Turkey, to pioneering women leaders in technology. The awards, which were presented to pioneering women leaders in technology as part of "Women Leaders in Technology" event in eight different categories in order to support their success in technology, were announced during the ceremony held at Microsoft Istanbul office on May 31st, 2016. “Successful Woman CIO of the Year” award is presented to pioneering woman leaders who use the technology in the best possible way during their strategic management, operational processes, etc., change their work processes in various fields from cloud to mobile technology and help their company grow with the help of technology. Now we have our own social network: TAVFACE. 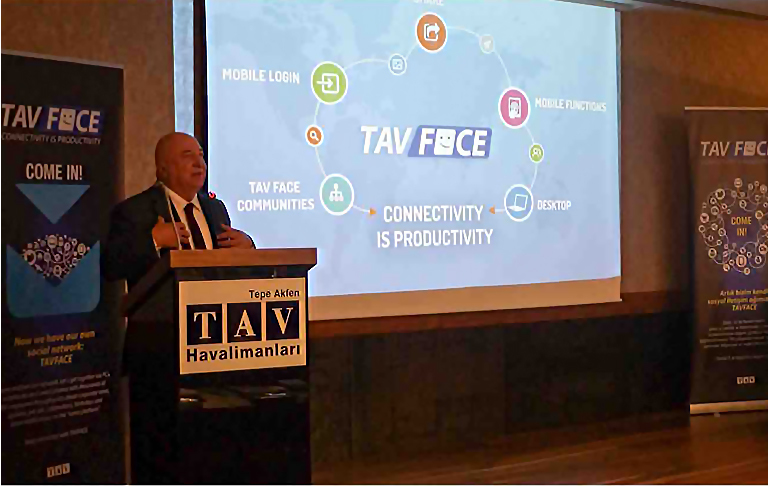 The kick-off meeting of the platform that lets TAV employees gather via computers and mobile devices through posts about corporate news, updates, job ads, celebrations, birthdays and other notifications was held in Istanbul on April 11th, 2016. Organized by TAV IT and participated by the senior executives of TAV Airports Holding, the meeting included live demos and providing information on how the system works and creates synergy in TAV Group. 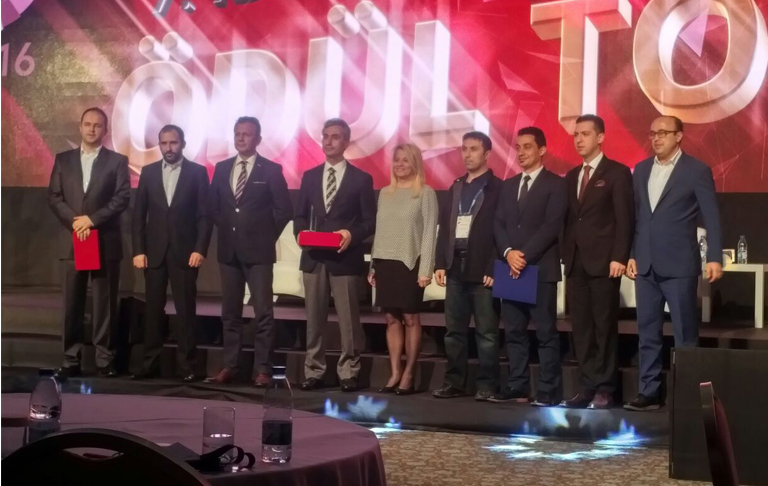 IDC Turkey CIO Summit 2016 was held at Çeşme Sheraton Hotel, Izmir between April 6th and 8th, 2016. During the summit, the best CIOs of the year were awarded. Attending the event as the guest of honor, TAV IT General Manager Binnur Güleryüz Onaran, who was awarded the Best CIO in 2015, presented this year's award to Borsa Istanbul General Manager Adnan Metin, who is in charge of Corporate Development and IT Technologies. Held between March 15th and 17th, 2016, in Köln, Germany, 22nd Passenger Terminal Expo gathered many companies and visitors from aviation and IT industries. Visited by numerous visitors, TAV IT stand received huge interest with the products exhibited and services offered. Organized at Abu Dhabi Al Bateen Executive Airport between March 8th and 10th, 2016 and gathered aviation industry professionals, Abu Dhabi Air Expo 2016 attracted great attention with the latest aircraft, helicopter models and aviation products which were on display. TAV IT stand also hosted many aviation authorities throughout the exhibition.